In surprise move, interim PM announces resignation on TV, move thought to pave road for military chief Sisi's presidential bid. In a sudden move, Egypt's interim government has stepped down. 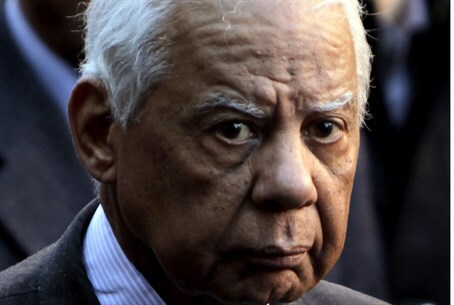 Prime Minister Hazem Beblawi announced the resignation in a televised statement on Monday, without giving any reason for the dissolution of the government, reports BBC. "Today the cabinet took a decision to offer its resignation to the president of the republic," said Beblawi in the TV announcement. Beblawi took office in July after Muslim Brotherhood-backed President Mohammed Morsi was deposed by the military. Tensions between the Muslim Brotherhood and the army have left the country in a state of disorder since, as the government has cracked down on the group and Morsi is currently on trial. Egypt's state-run Al-Ahram newspaper said the decision to resign was made after a cabinet meeting attended by army chief Abdel Fattah al-Sisi, who is widely expected to step down from his military post and run for president by mid-April, a competition he is expected to win easily. "This was done as a step that was needed ahead of Sisi's announcement that he will run for president," said an Egyptian official to Reuters regarding the resignation of the interim government. In late January, Beblawi announced his support for Sisi as a presidential candidate, strengthening suspicions that the resignation is intended to boost Sisi into power. "Sisi has a very strong popular support and definitely is a candidate who we can count on but of course the final judge is the people," said Beblawi. Meanwhile Egypt has inked a $2 billion arms deal with Russia, with the first batch of Russian weapons set to be delivered to Egypt before mid-2014.